Check out these four tips for being a better homebuyer. 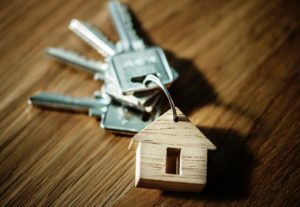 Buying your first home is one of the most significant purchases you will make in your lifetime, so it’s crucial to be as prepared as possible. Purchasing a home takes a lot of time and planning, but when you move into your new home, it will all be worth it! Whether you are looking to build a custom home or buy a community home, Rainbow Construction will work with you to bring your dream house to life. The first thing to do when you decide to buy a home is to pull your credit report and scores to see where you stand. Check your credit scores and reports for any errors or past-due accounts, as these can make it difficult to apply for a loan. It’s also a smart idea to sign up for a credit monitoring service so you’ll be notified if your score changes, or if there is any suspicious activity on your report. Having a realistic budget is essential for all first-time homebuyers. Take a close look at your monthly spending to see what you can afford for interest, taxes, and insurance. Remember now to spend the majority of your monthly income on mortgage payments, as homeownership can come with various other expenses. Once you work on your credit and set a realistic budget, you should secure a mortgage pre-qualification. You should get the pre-qualification before you even begin to look for homes; without it, you will have trouble getting the attention of home sellers or real estate agents. Getting pre-qualified is a simple process, as you provide your lender your overall financial picture, then they will evaluate the information and give an estimate of the size of mortgage you qualify for. This is a crucial step, as the letter allows you to have a higher chance of putting a deposit down and taking the home off the market before someone else does. Real estate closing is often scheduled for 30 to 45 days after signing a purchase agreement. In your offer, you want to write out any contingencies that allow you to walk away from the deal, such as a home inspection revealing expensive issues. It’s safest to spell out these terms in writing with deadlines, so you can get your earnest deposit back if the transaction doesn’t go as planned. This entry was posted on Wednesday, November 14th, 2018 at 4:46 pm. Both comments and pings are currently closed.